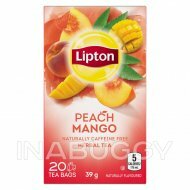 Lipton® Lemon Ginger Herbal Tea is the delicious delight of Lemon meeting Ginger that can be enjoyed anytime - day or night. 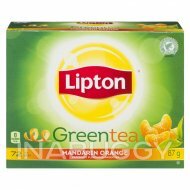 However you choose to enjoy, Lipton® Lemon Ginger Herbal Tea is the tasty beverage you are looking for. 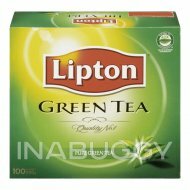 This herbal tea delivers the lively and tangy taste of lemon and ginger that is naturally caffeine free. 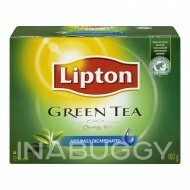 Lipton® combines luscious flavours with our best herbal tea blends to awaken the sense. 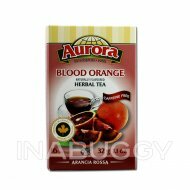 To experience this fabulous blend of zesty and tangy flavours, simply infuse this herbal tea for 4 minutes. Or, if you prefer, you can delve deeper into the taste of lemon and ginger by steeping your tea bag for longer. 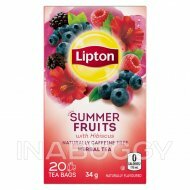 Conveniently packaged in 20 individually wrapped tea bags, Lipton® Lemon Ginger Herbal Tea is uplifting when enjoyed hot or refreshing when enjoyed as an iced tea. Add a little uplift to your day. 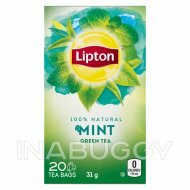 Conveniently packaged in 20 individually wrapped tea bags, Lipton® Lemon Ginger Herbal Tea offers an uplifting taste that can be enjoyed hot or as an iced tea.